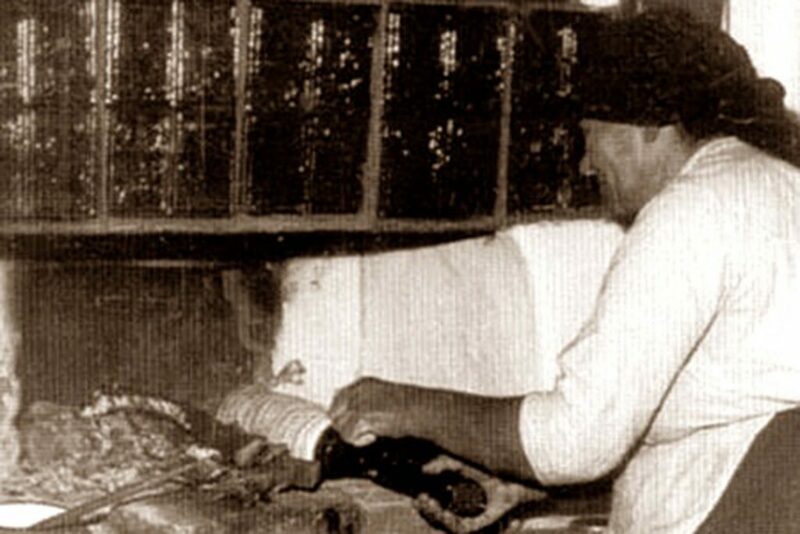 The love and pride used to bake our Kurtoskalacs, Kurtos-kalacs, Chimney cake this delicious pastry is still the same. But the production has become much easier. Thanks to our many years of experience, we have been able to develop Kurtoskalacs or Chimney Cake ovens that can withstand today’s requirements in gastronomy. Timeless design, the best materials, high-quality stainless steel and an ingenious design are some of the components that make us one of the leading manufacturers of this special equipment. Our attractive, durable ovens are used for events, street festivals, Christmas markets as well as in restaurants, cafés and restaurants. Despite high tech conveniences, real manual work is still required to create these treats. 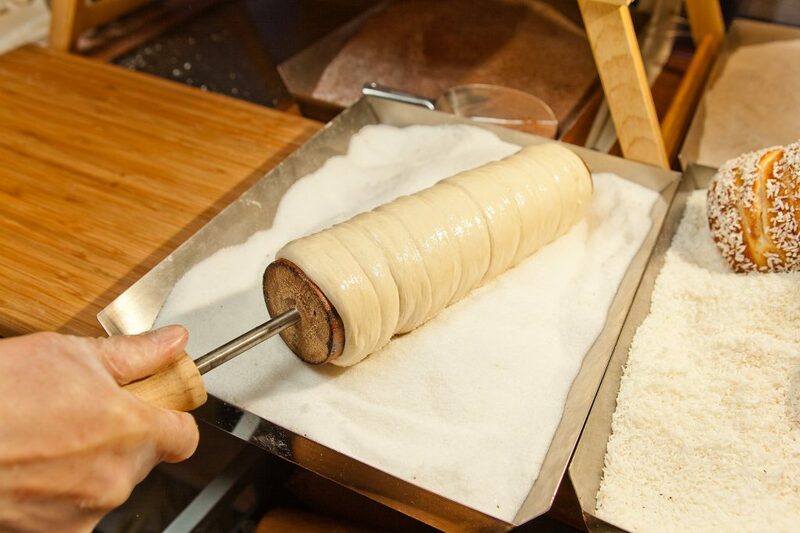 Kürtőskalács (Baumstriezel or Chimney Cakes) customers are attracted by the delicious aroma and love to look at the production from the preparation of the dough to the moment the crispy, golden brown Kürtőskalács leave the oven. After just a few minutes, customers hold their delicious Kürtőskalács (Baumstriezel or Chimney Cake) in their hands – inside soft and fluffy with a crispy caramel layer on the outside. Hmmm…. utterly delicious! What was once not quite so common is becoming more and more popular nowadays. 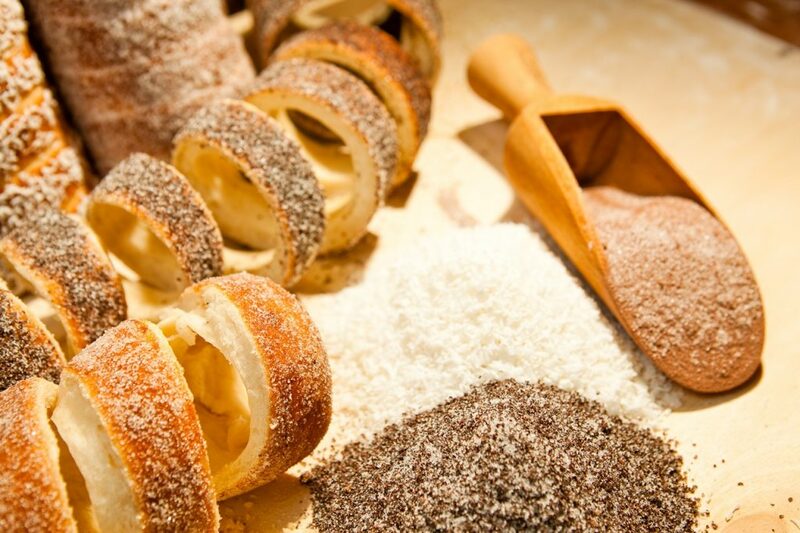 The Kürtőskalács (kurtos-kalacs, Baumstriezel or Chimney Cake) can be baked just as well, for example with a salty yeast dough enriched with fine spices and dried herbs, and instead of in sugar, served with a cheese or meat mixture. Kürtőskalács can be just as refined and simple – sweet with cream, ice cream, fruits, chocolate or creams, or piquant and savory with sausages, sauerkraut, salad, fish, egg, cheese and ham to name a few of the endless possibilities. One special feature of the Kürtőskalács (Baumstriezel or Chimney Cake) is whether for sweet-tooths or savory fans: They always delight their lovers every season.